During the summer of 2016, Amber Pierce joined Artisan’s Rejuvenation Med Spa and helped build the brand and great reputation in the Brazos Valley for state-of-the-art aesthetics. In addition to that, she hand-picked the skin care lines. 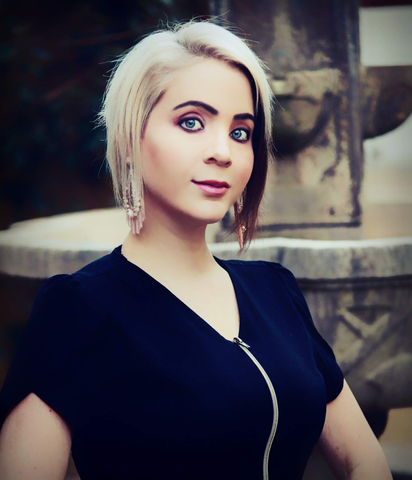 Amber is well known in the aesthetic and med spa community for her passion for the industry and is greatly sought after as an aesthetic instructor. She has earned the title of Lead Aesthetician and Laser Professional and has 10 years of Esthetic experience with a background in Chemical Engineering and Applied Sciences. As Amber was going to chemical engineering school, she realized her heart was just not in it and made the decision to follow her dreams and passion for aesthetics. When you make an appointment with Amber though, you will find that her background in chemical engineering comes in handy when you want to know about the various ingredients in your current home, skin-care line in comparison to other skin care lines. She can tell you which ingredients are useless, which ones really work and how they react to different types of skin as well as how they react when combined. Amber came to Artisan’s after having worked in a variety of different esthetic environments from destination spas to franchises. But she loves team Artisan’s which she helped to build, and she is here to stay! She is passionate about compliance with state and national regulations, ensuring safety of your treatments and product efficacy. Amber’s mission is putting you first by showing her unconditional positive regard toward you, actively listening to your concerns, and being honest and authentic. Amber has an insatiable need to learn. As of now, she is furthering her education to become a certified Medical Assistant as well as learning about oncological skin care, the Ayurvedic Technique and nutrition. On a personal note, Amber enjoys travel and even briefly lived in Japan. She is a bit of a white wine connoisseur, and enjoys the loving companionship of her husband who is a Conroe High School history teacher and coach. On a funny note, she likes to put goofy pajamas on her dog Thor, whom she claims to have given birth to. Don’t wait to make your appointment with Amber, as her schedule gets booked up fast.